4. Do the other side. 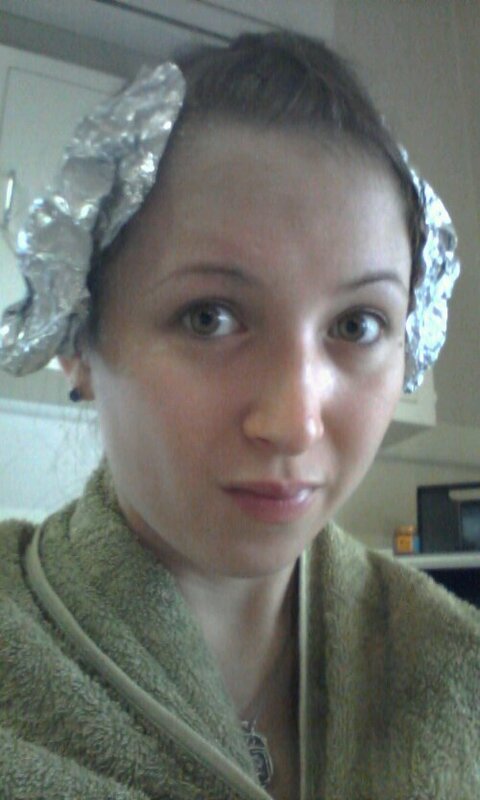 Turn into Princess Leia. 6. 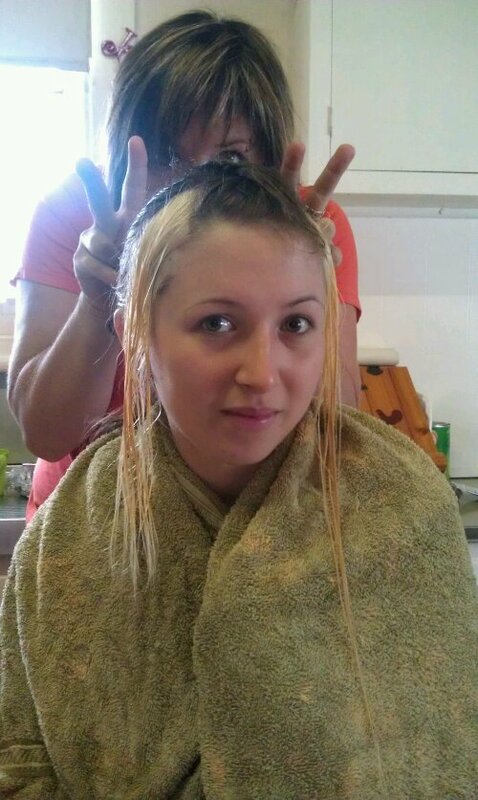 Rinse the bleach out, blow dry, and have your almost aunt-in-law give you bunny ears. Since I was dying my hair dark blue, I didn’t need to get my hair absolutely white. However, if you’re dying your hair a lighter color, you should make sure that your hair is closer to white. I was afraid that my hair was going to turn green because it was still sort of yellowy while it was wet, but it was almost white when it was dry. 7. 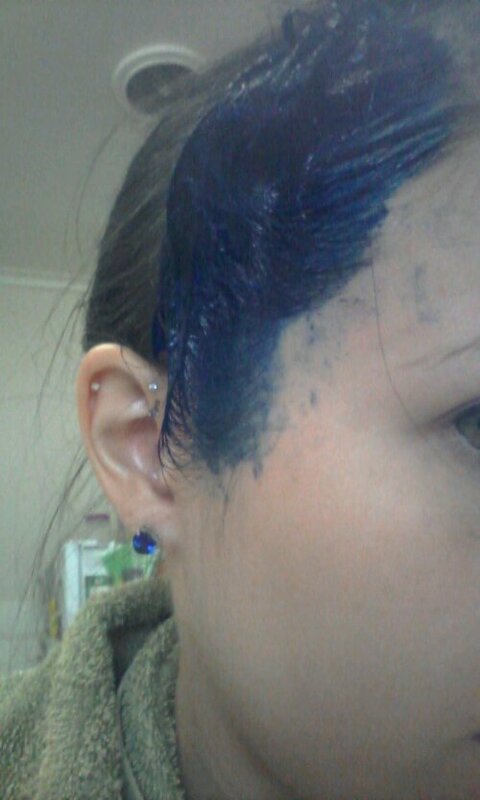 Apply the dye you want. I used Blue Velvet by Paintbox. It works okay, but fades within a week or two unless you avoid washing your hair regularly. 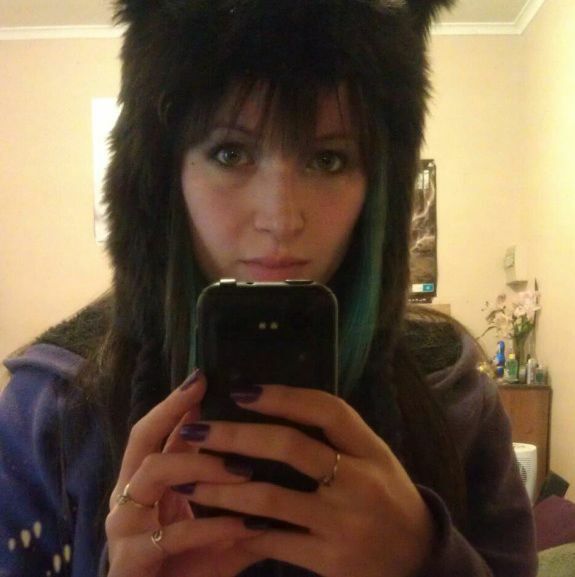 I’ll probably go back to Manic Panic soon, which I used when I had purple hair. 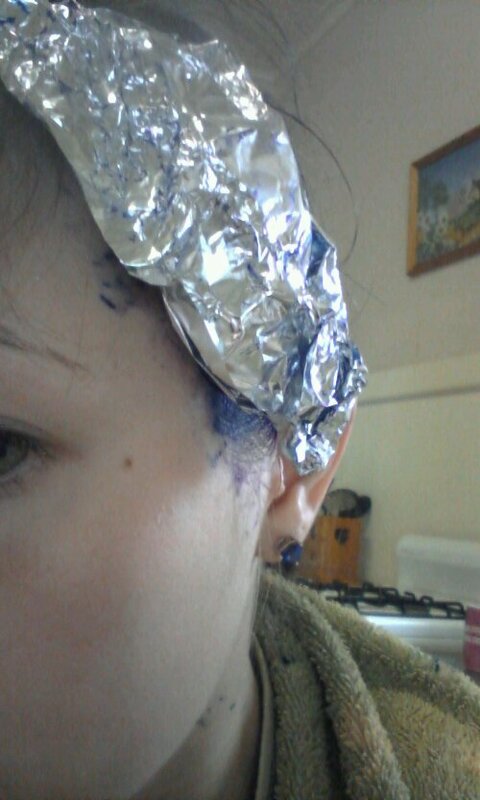 I don’t mind lavender as much as green, which this blue fades to. 9. 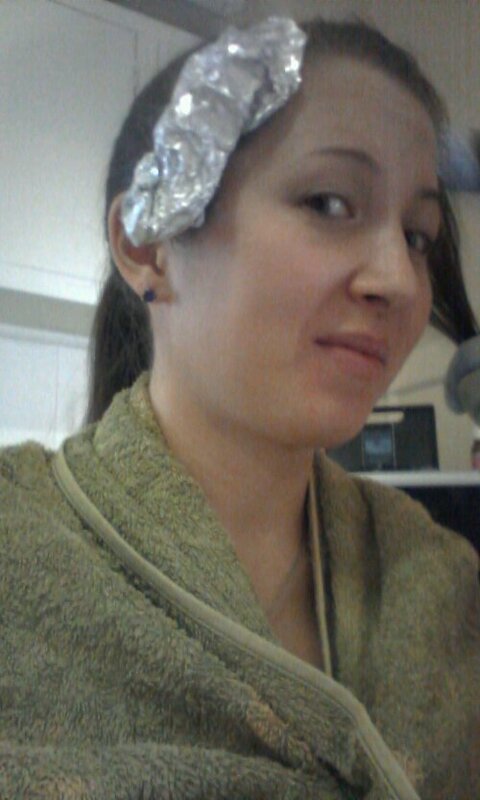 Remove foil. Look at gooey hair. Mmm, goo. 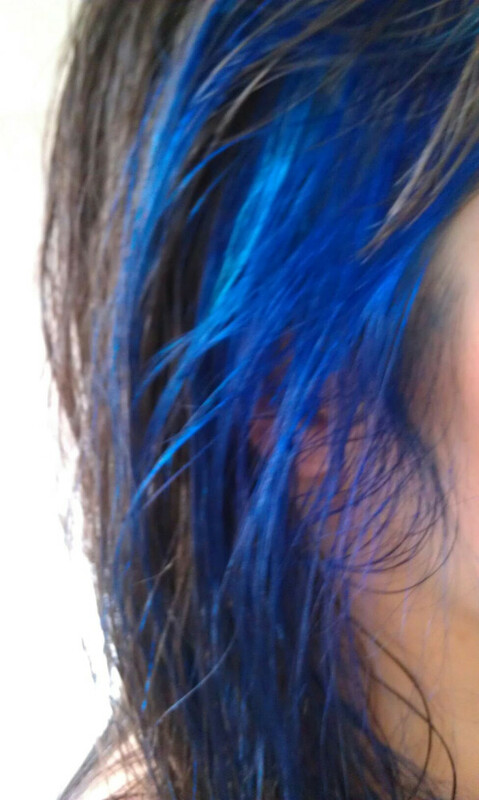 Keep in mind, that color will only last for a couple of days before it starts to fade. I’ve started washing my hair less (I used to wash it every day, now it’s every other day) and just condition it daily. Re-dying it is much easier, too, since you don’t have to bleach it every time. 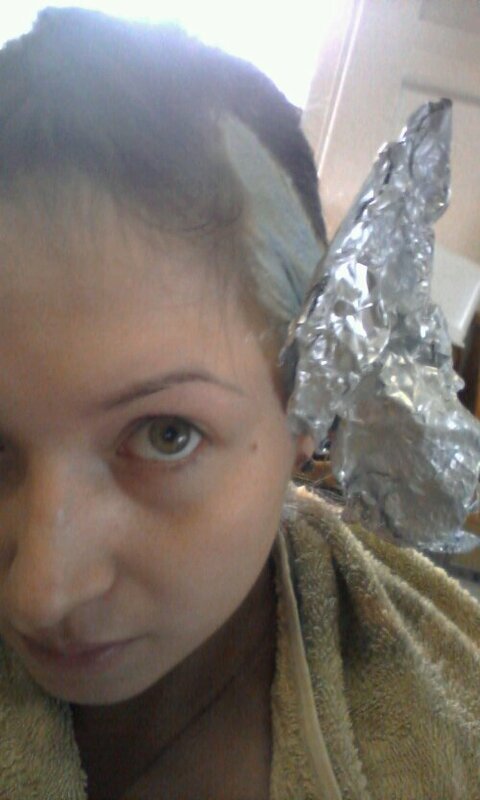 Just apply the dye, wrap it up, and wait. 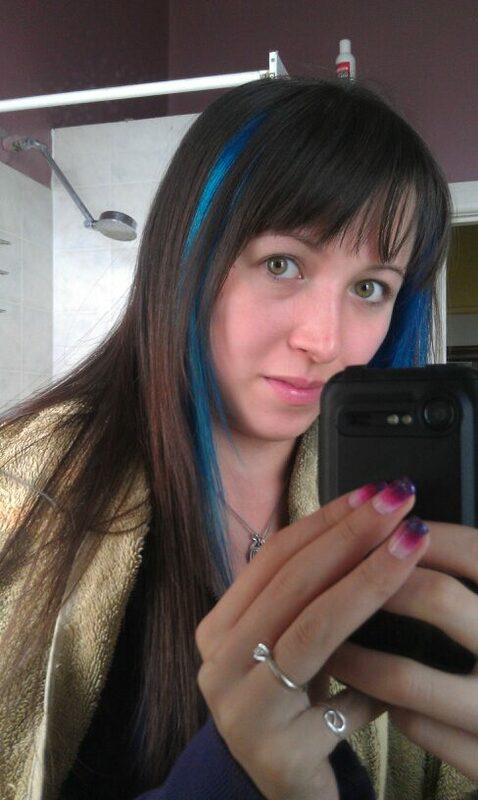 I re-dye mine every 7-10 days to keep it bright blue. 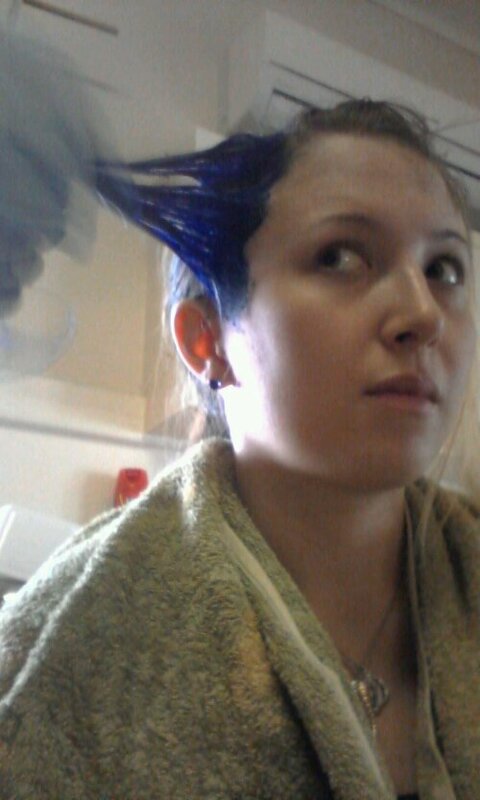 Now you all know how to dye hair. It’s really boring, but once you get it bleached, it’s easy to switch colors if you need a change, or maintain the same color (the tube of dye I got is about 1/2 gone and I’ve used it 3x so far.) You can also color coordinate with makeup and outfits. 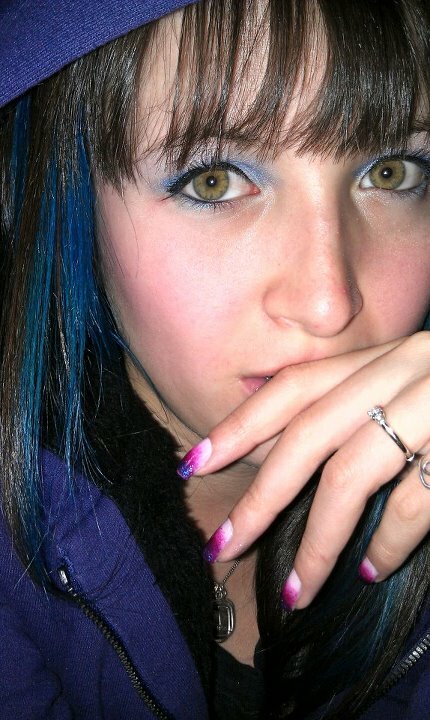 I hope this has helped some of you, or at least showed you how to dye hair… blue. Yep.